are gonna be there. There will probably be a LOT more pickers – word gets around. A few really special guests have hinted they’ll show… I’ll add more as they confirm. There will be a pot-luck dinner before the show – check with the legion for exact times, but I’d guess the food will start around five and the music around six. If you can bring a dish, great. If not, come on anyway. This is going to be THE party- great music, good times, cheap beer, good food, and – of course – I’m video and audio recording the whole thing. From Terlingua/Study Butte, drive about 24 miles North on Hwy 118. It’s five miles or so past the main Terlingua Ranch road, on your left. From Alpine, take 118 South for 52 miles or so. Can’t miss it. From Austin, get to I-10 any way you can. Go West to the Sul Ross/Alpine exit 15 miles West of Fort Stockton. Take that South to hwy 90, turn right, and take 90 West to Alpine. From Berlin – I’d land in Ohare, hop to Austin or Houston, take the local to Midland/Odessa and get one of the local drug dealers to fly you to the airport in Lajitas or Terlingua. You can probably get a ride from there pretty easily. From Saturn – land outside of Fort Davis at the McDonald Observatory. Stop in for a glass of wine, they’ll be happy to visit with you. 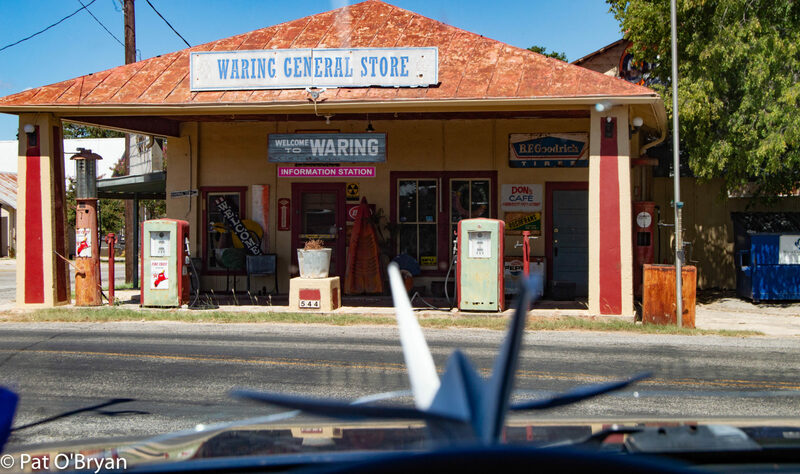 You won’t need to worry about how you look, no matter how bizarre you may seem – once you get to South Brewster County, you’ll fit right in.